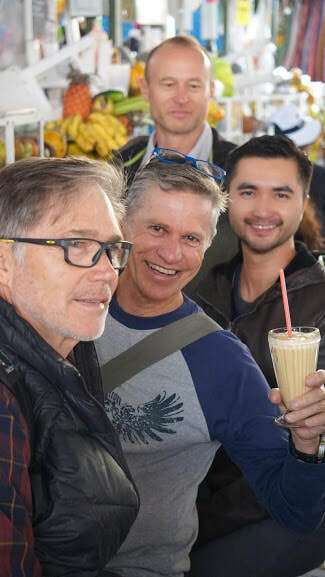 Peru and the land of the Incas, Gay friendly tour - Outside the Square. 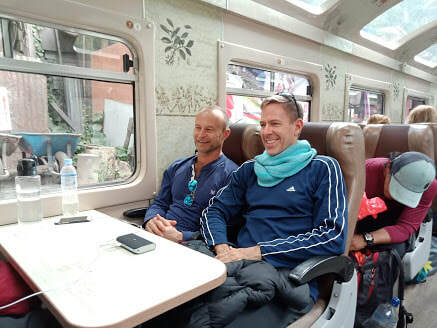 Tours for the "almost independent" Gay Traveller and their friends. 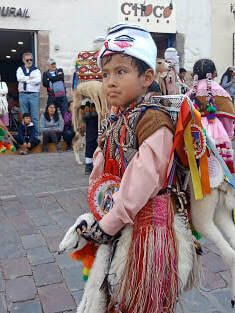 Ever since I first visited the valley of the Incas as an intrepid backpacker I have longed to return and explore more off the beaten track and in 2018 we teamed up with a specialist in Peru to offer a truly unique experience (way more personal than off the shelf trips) yet with the Outside the Square Gay friendly camaraderie we all love so much. 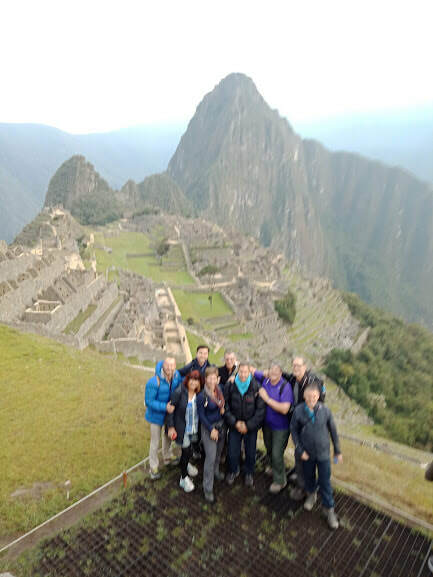 This trip was a great success and for 2020 we have taken the very best of that trip and added both Lima and Arequipa (the white city) to make what we think will be the best trip ever. 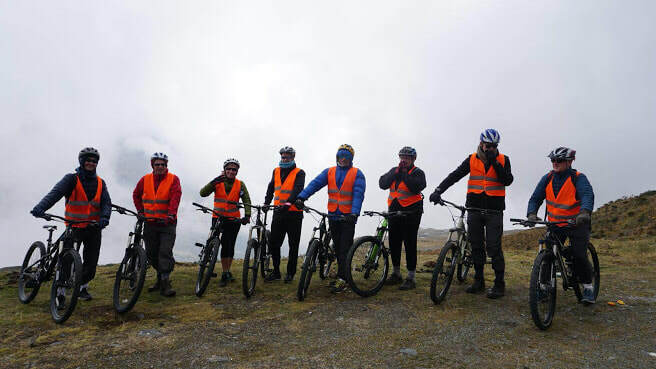 With our local guide we will get right off the beaten track in our own transport and at a relaxed pace. 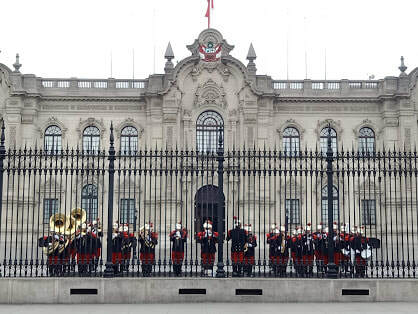 Arrival day in Lima, with a meet and greet at the airport and transfer to our heritage hotel in the historic heart of the city. 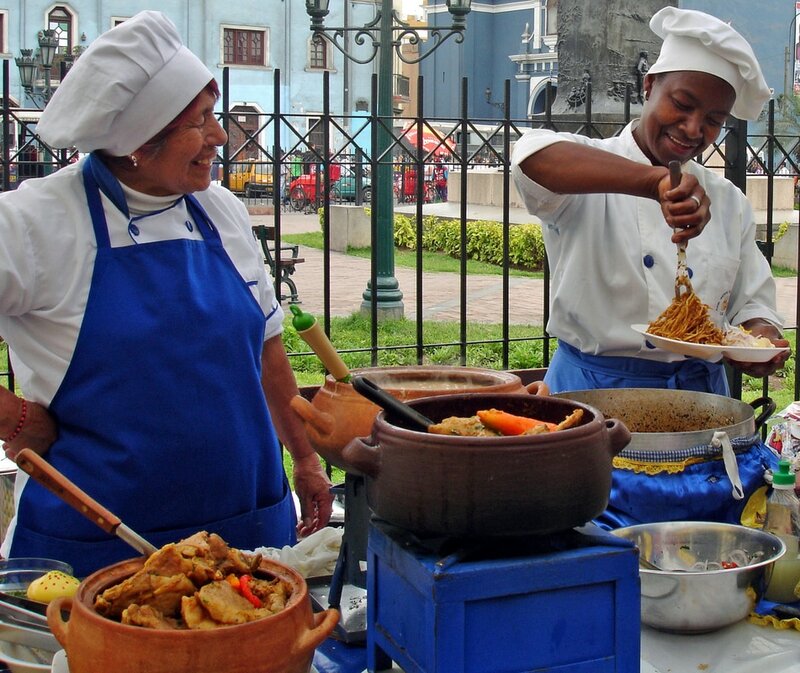 Today we explore the colonial city centre, and its magnificent Central Square and historic buildings. 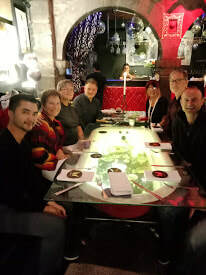 Richard will host a welcome meal, and in the evening we get to see one of the most eclectic water and light shows on the planet. Today we are transferred to the airport for our short internal flight to Arequipa, known as the “White City” due to its construction from stunning local white stone. In the afternoon we go on a walking tour around this world heritage city, it's quite magical. Free time to explore the delights of Arequipa. In the late afternoon and early evening we will visit the wondrous walled city that is the Santa Catalina Convent, before heading to dinner at a typical Picanteria restaurant. After breakfast together we will board our private minivan and head through some amazing high plateau volcanic scenery towards Puno, a bustling high-altitude port town on the shores of Lake Titicaca. Here there's free time for wandering along the shore of the world's highest navigable lake, exploring the vibrant city market, or excellent people-watching from a café in the city's pedestrian centre, before dinner at one of Puno’s many awesome novo-andino (New Andean fusion) restaurants. This morning we take to the waters of Lake Titicaca. 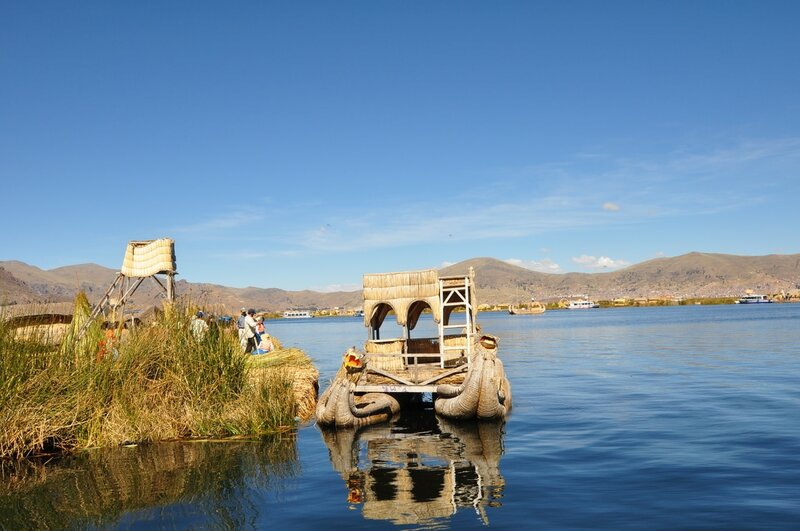 We’ll stop briefly at the Uros – the famous floating reed islands of Lake Titicaca – but our main destination is Taquile, one of the most fascinating islands in the world. It was isolated until the 1950s and still follows a very different way of life. 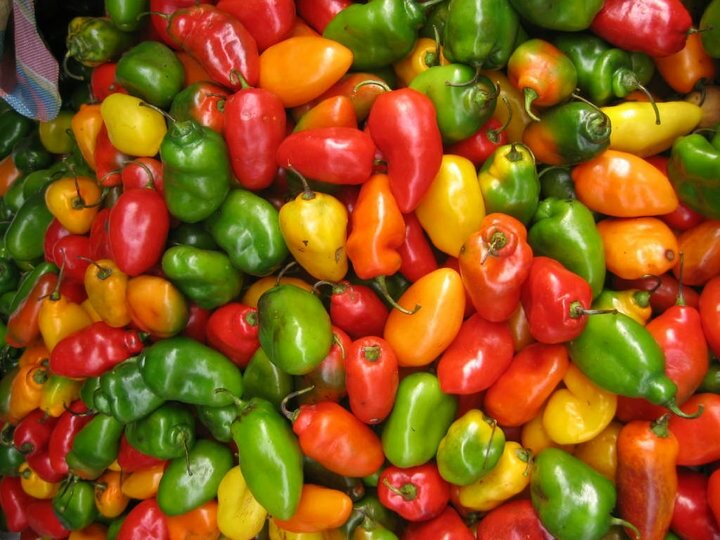 Decisions are communal, economic activity is co-operative, and society is based on the fundamental Inca principles: "Ama sua, ama llulla, ama quella" (don’t steal, don’t lie, don’t be lazy). There are no cars, few dogs, and little electricity, because the Taquileños want it that way. 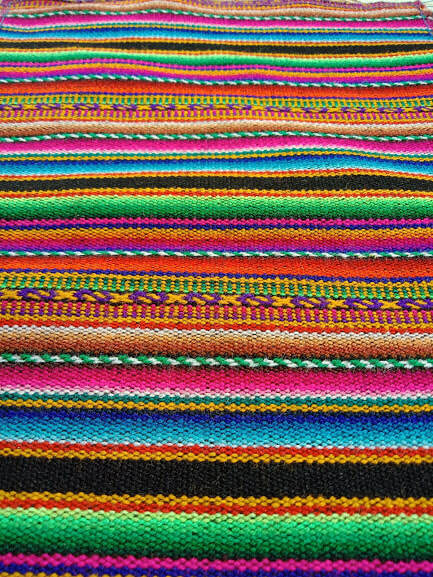 Taquile is also the most famous textile centre in the Andes. Colourful, storytelling textiles, designed and woven by Taquile’s women from thread spun by its men, draw aficionados and investigators from all over the world to this amazing island. On top of all this, the scenery is stunning and the peace and tranquillity is like nowhere else on Earth. Taquile is just magic. This morning we’ll explore Lampa. 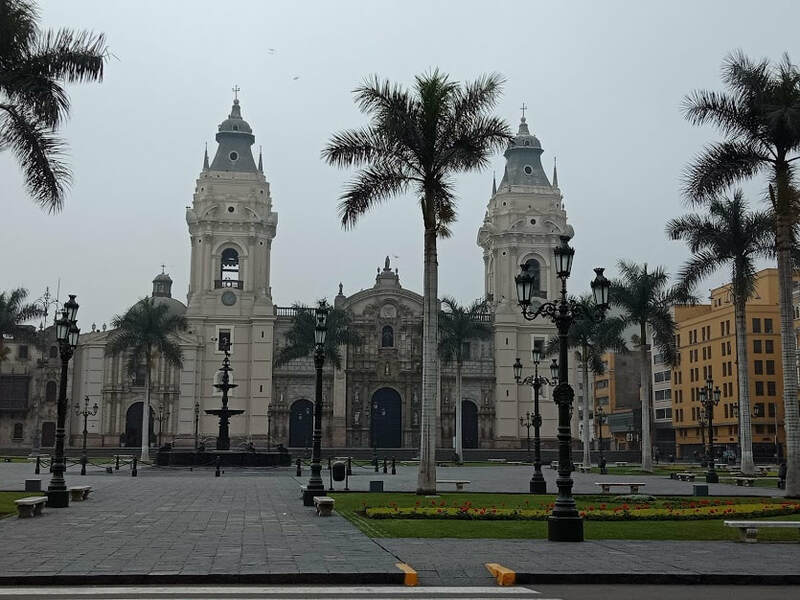 Once one of the richest towns in Peru, it’s now so quiet there are literally tumbleweeds in the main plaza, making the grandeur and scale of its cathedral all the more striking. Impressive from the outside, inside the cathedral is simply incredible. Among many other marvels, it houses a catacomb, a collection of skulls and skeletons, and a full-scale reproduction of Michelangelo’s Pietá. This morning we'll drive across the world's highest inhabited plain to the village of Raqchi, home to a group of gracious, funny people who will open their homes and lives to you, giving you a unique insight into traditional Andean life. In the afternoon they'll show us around the weird alien-looking ruin that overshadows the village, and the artesanal ceramic studios that are the backbone of the local economy. 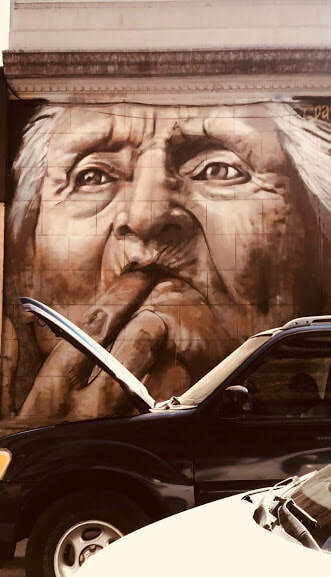 In the evening we’ll have the privilege of attending a ch’alla (payment to the Earth) – a ceremony of propitiation of Pacha Mama (Mother Earth) held regularly by an ostensibly Catholic community, and a very good example of the paradox at the heart of Andean culture and belief. This morning we'll visit the charming ruin of Pikillacta, and the church of Andahuaylillas, whose interior is so ornate that it’s known as the Sistine Chapel of the Americas... it's another one that has to be seen to be believed! 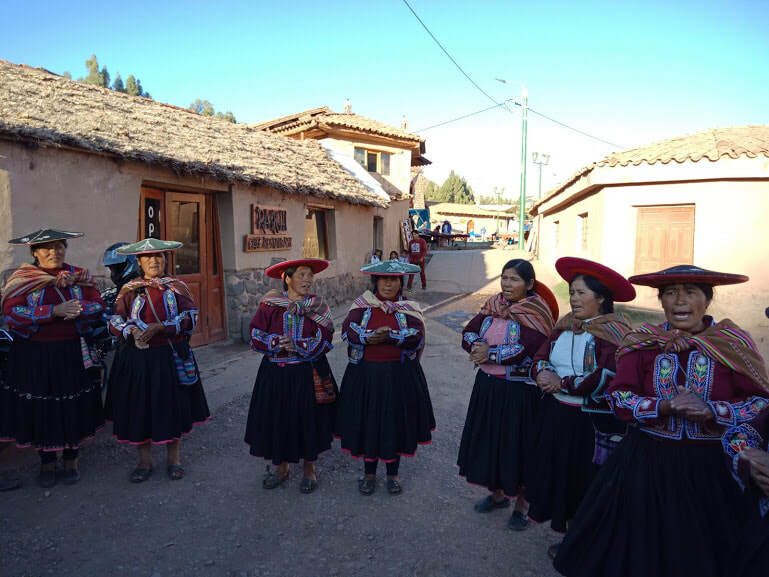 We'll also explore the massive handicraft market of Pisac, the largest in the region and the perfect one-stop-shop for souvenir and gift shopping. Today is also a great day to sample many local food delicacies as we pass through several towns famed for their regional specialty foods. 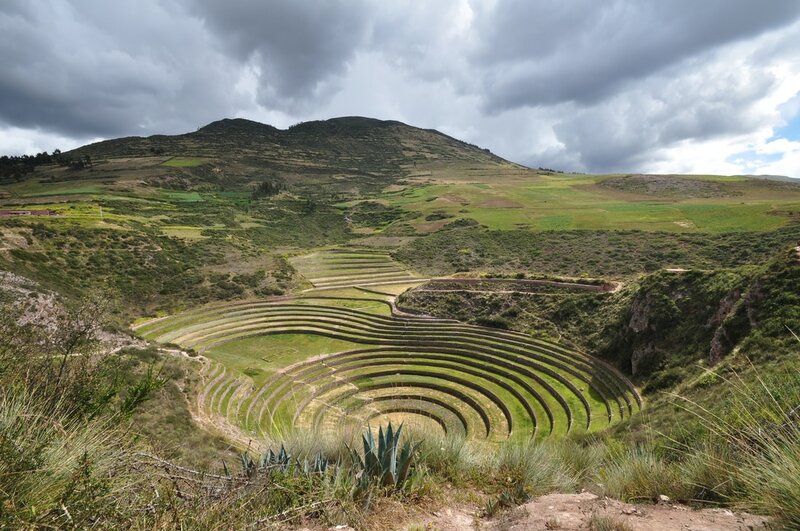 All this plus still-working Inca terracing, irrigation canals, and awesome mountain vistas.... this is a stunning day that brings us to the Inca heartland. Today we cross one of the world’s more drastic topographical divides: from the arid, Pacific side of the Andes to its lush western slope and the uppermost reaches of the Amazon Basin. The differences become more and more obvious as we descend from the icy high pass of Abra Malaga (4,350 metres), all the way down to the steamy heat of the ceja de selva (“eyebrow of the jungle”). Our destination, sleepy Santa Teresa (1,550 metres), is home to one of our favourite places in Peru, the Baños Termales de Cocalmayo, natural mountain hot springs beside a raging river. 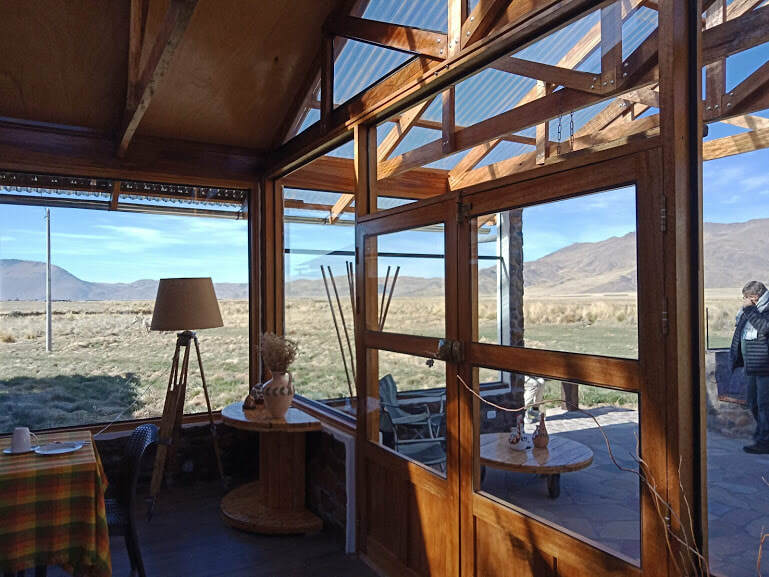 It’s the perfect place to soak away the road dust of today’s journey from one side of the Andes to the other. Morning relax, try the hammock and chill in this lovely eco lodge. 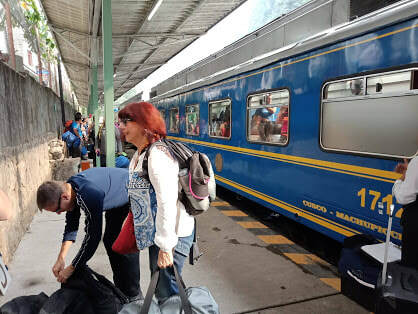 In the afternoon we’ll take a short (seven kilometre) train ride to Aguas Calientes, the jumping-off point to visit Machu Picchu. There’s time this afternoon to explore the market and admire the scenery all around and above us – the isolated little town has one of the most beautiful settings you’ll see in Peru, in a jungle gorge by a rushing river. 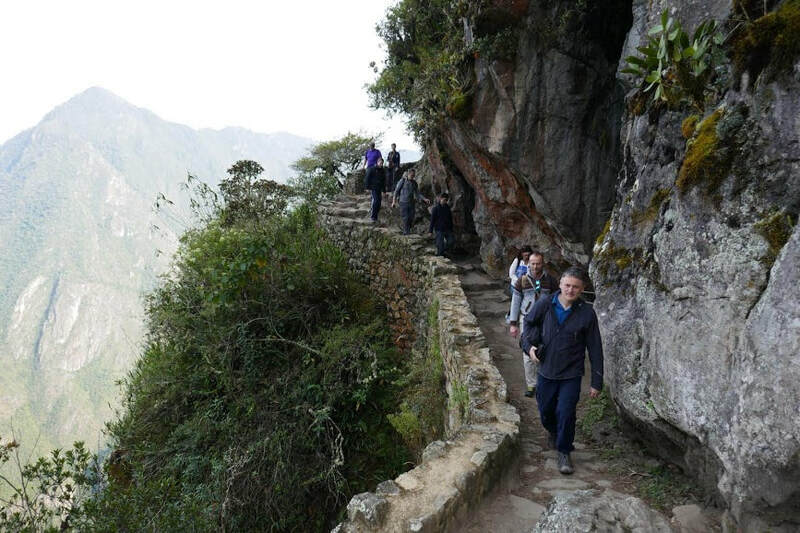 We’ll get an early start, so there’s time for our guide to show us around Machu Picchu’s main citadel, as well as a few hidden nooks and crannies, before the crowds arrive. 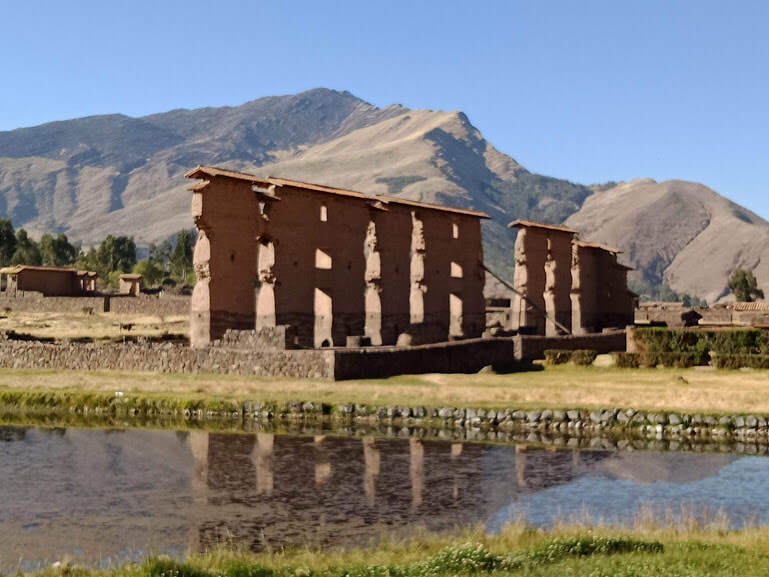 Then there’s time for your own exploration of the massive, still-mysterious site, before we take a scenic train ride to Ollantaytambo, perhaps the most perfectly preserved of all Inca towns, a maze of cobbled alleyways and sun-drenched plazas presided over by a spectacular, llama-shaped ruin. Today we visit Moray – a mysterious complex of massive amphitheaters of incredible engineering precision and stern, magnificent beauty. 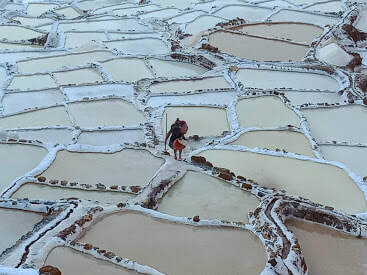 Then an easy stroll (or ride in the bus if you prefer), through rolling farmland and views of the high Andes, brings us to Salineras – a surreal and beautiful patchwork of pools and paths that still produces salt using Inca technology and is our favourite site in the Cusco region. We'll also check out Chinchero, best known for its outdoor weaving studios and extensive Inca terracing with incredible views. 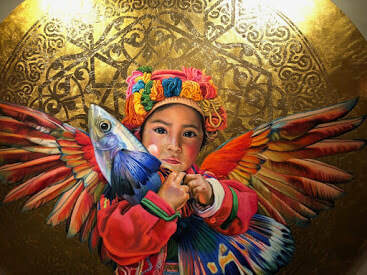 Welcome to Cusco, capital of the Inca Empire and one of the most beautiful cities on Earth! Morning walk with Richard around this amazing city, afternoon is free time and tonight we have a farewell dinner somewhere special. Most people’s flights will leave in the afternoon for onward connections in Lima. So it’s a free morning with a chance to do some last minute shopping before your transfer to the airport. Or stay on a few days in this wonderful city. 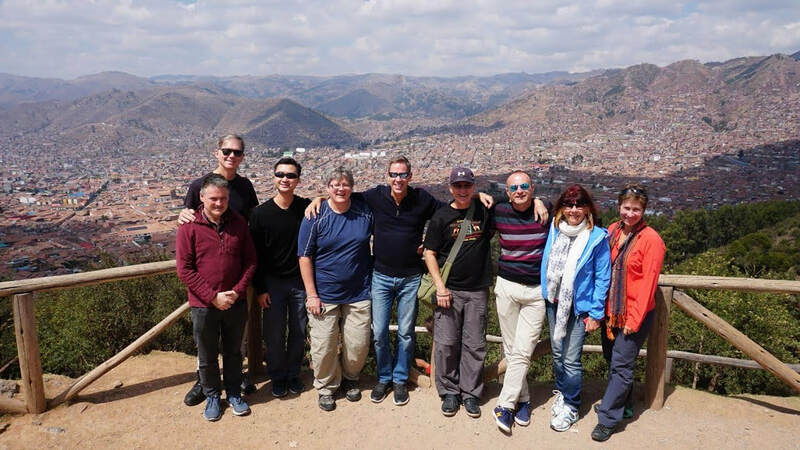 This year’s trip we have started in Lima heading first to Arequipa and then on to Puno, and finishing in Cusco 2 weeks later. This has been designed especially to help you adjust to altitude. 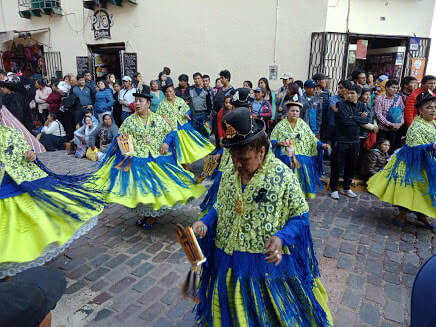 Most tours start in Cusco which at a heady 3399m (11,152 feet) can cause people discomfort and takes a few days to adjust to when you fly directly in. Min 2 guests. Cost $1250 USD Full board. Ask for further details and itinerary. 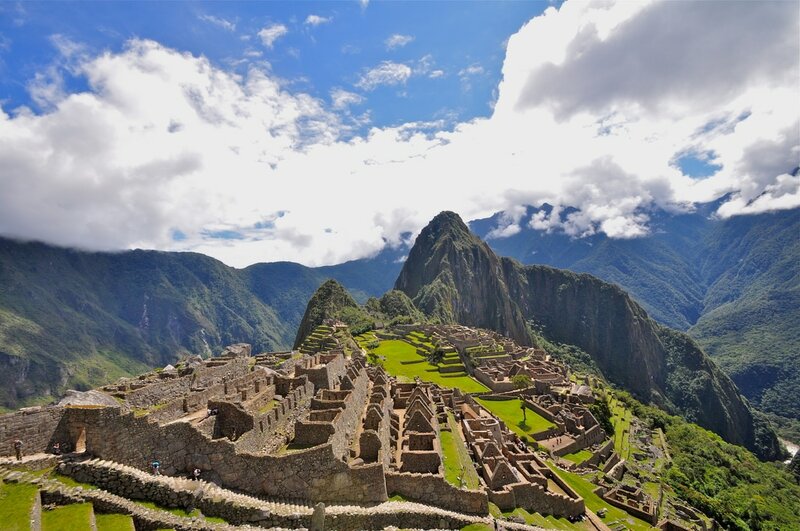 16 Days exploring the land of the Incas. Plan to arrive in Lima 12th September 2020 and depart from Cusco on or after the 27th September. Flights to and from the starting/ending point and LIM-AQP. When we have the Min number people I will let you know and a U$750 deposit will be requested to confirm the trip so you can book your holidays and start looking out for your flights. Balance is due 60 days prior to departure. Ask about the 5 day Amazon add-on to extend your adventure. Accommodations on our Peru trips are our favourites in each town. In Cusco, Arequipa and Puno we stay in clean, comfortable three-star hotels. In Ollantaytambo, Aguas Calientes, Lima Santa Teresa and Ayaviri we stay in quirky, interesting, clean and comfortable lodgings. In Raqchi we stay in humble family homes. Here, conditions are basic and hygiene may not be what you are used to at home, but any slight discomfort you experience will be well compensated for by this incredible insight into a very different way of life.